Estimates of generated output from solar pv systems need to be handled cautiously: the actual output will vary substantially year by year. This note below shows that a software tool can give a better long-term estimate than a forecast based on any given year’s actual output. I have heard on several occasions recently the statement that the output from a solar pv system can be over-estimated. This statement was made in the financial context of a loan consideration – and hence properly engenders further caution. I made estimates for my system before buying; and have experience of actual results. Here, I narrate this experience with a domestic 4kWp solar pv system over the course of 4 years to inform both would-be buyers and those making financial judgements on a potential solar pv project. First, the important principle: caveat emptor. Anyone selling anything is susceptible to telling of its merits. Anyone buying must do their own homework. Anyone assessing the loan-worthiness of a possible project is duty-bound to consider risk, cost and benefit (alongside many other considerations). Secondly, the unavoidable observation: we are (in case you had not heard) experiencing climate change. Thirdly, set yourself reasonable tolerances for your estimates. Be honest about how closely you can expect to forecast energy price rises for the 20-year term of the FIT (or RHI) agreement. And what you can reasonably expect of the sun, given that the climate is changing: more cloud cover will decrease the generated output; conversely, less will increase it. Before I purchased my system I researched carefully what the likely initial yearly output from the system would be. I measured this output in kilowatt-hours per year (not pounds sterling). I used what appeared to me to be the most reliably- and robustly-designed estimation program available that did not require me to lay out money to use it. I took shading from trees, etc. into account. The software I chose was the one available at: http://re.jrc.ec.europa.eu/pvgis/apps4/pvest.php This free software tool takes reasonable account of most of the salient parameters impacting solar pv system output (including a facility that enables for correction for shading) and gives useful, informative charts. Suppliers, of course, have their own systems. You should give estimates from these due respect – and ask for reasons for any variation between their estimated generation and yours. I gave the estimation tool the best available, site-based data that I could; it gave me the result of 3,065kWh/year – lower than that typical for Cornwall: my roof is near to East-facing. What then transpired in four years? So what conclusions and advice can I offer after four years’ installed experience? Note that any individual, failed panel can be replaced; and that the inverter may have a much shorter life – typically estimated at 5-years. As a footnote, my next project is to look very closely at energy storage systems which allow delayed use of the solar-generated energy, reducing the amount exported. Another posting for another day! 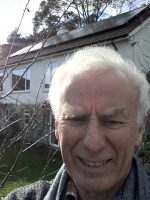 This entry was posted in Energy, Issues, Solar PV, Truro. Bookmark the permalink. Both comments and trackbacks are currently closed.